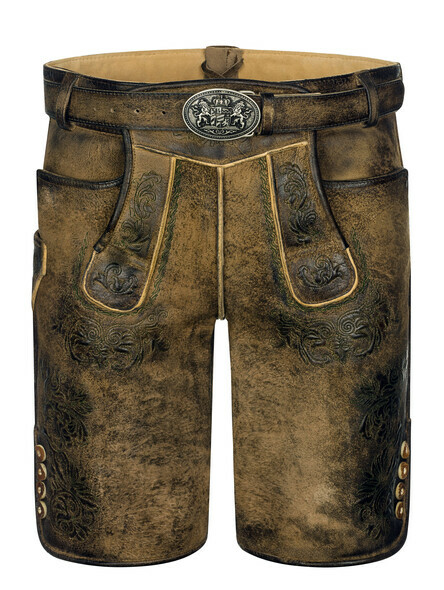 Wild goat leather brings indeed the best of both worlds together. 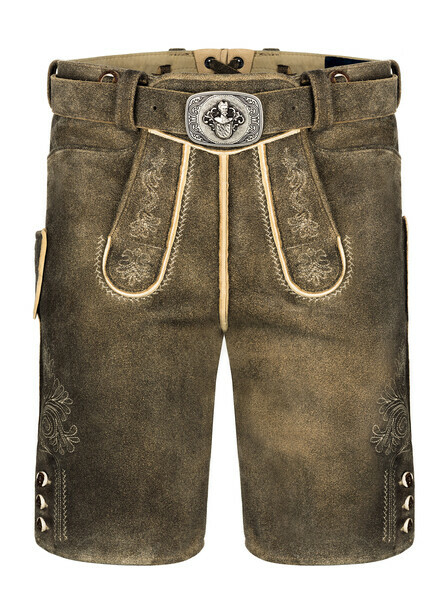 It's heavenly supple and supplies a great price-performance-ratio, though. 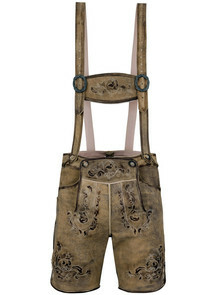 Therefore, our traditional lederhosen made of goat leather are real rock stars. As a part of our huge variety of authentic Bavarian lederhosen for men they offer the most wonderful mixture of tradition, quality and character. 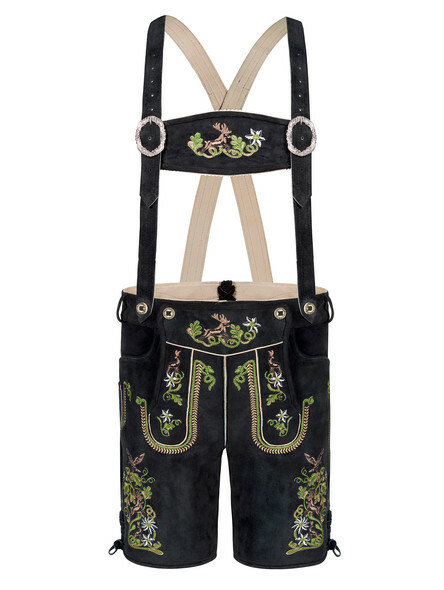 It's obvious that such lederhosen are a must at the Oktoberfest in Munich. 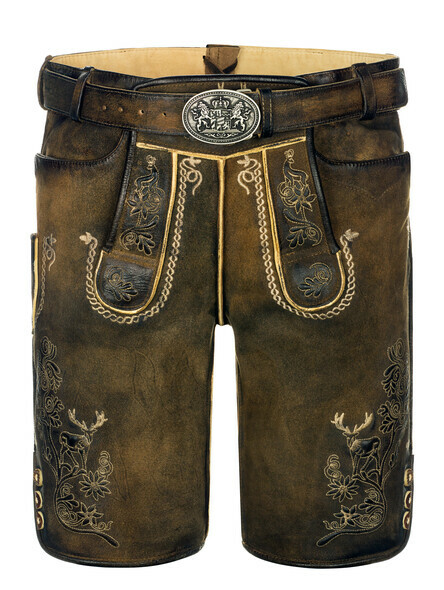 Wild goat or deer leather? 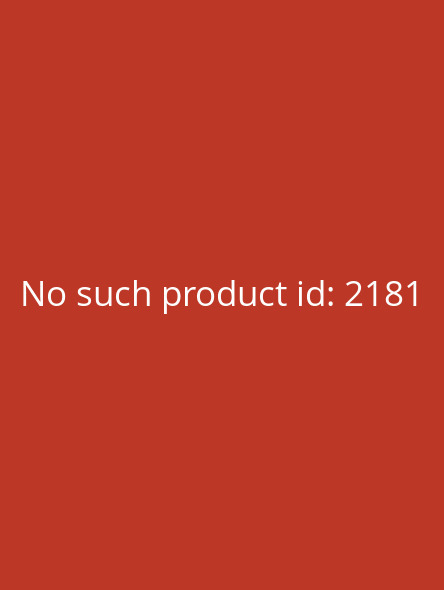 But what makes wild goat leather so special? 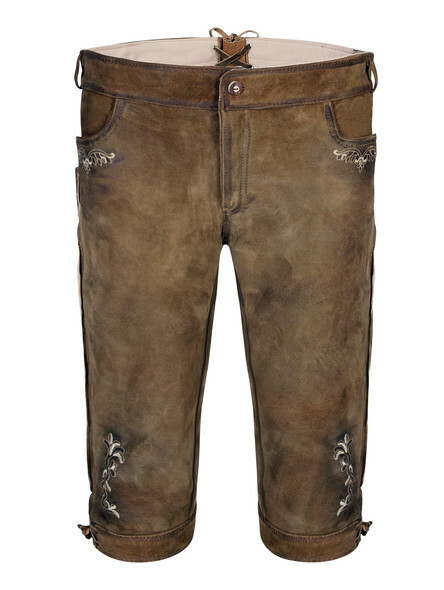 It comes from the wild goat and is known as wild goat or goat skin. 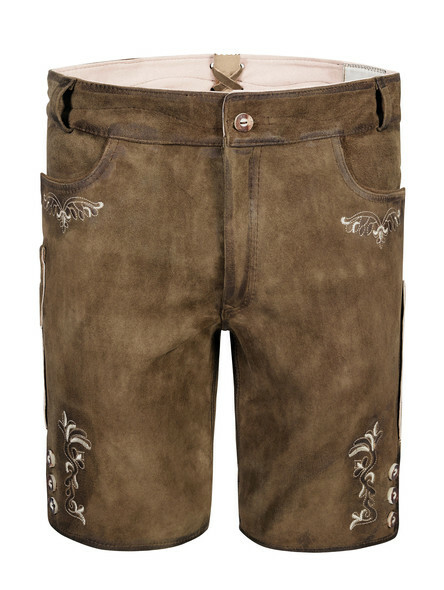 But the real secret lies in its ease and snugness. 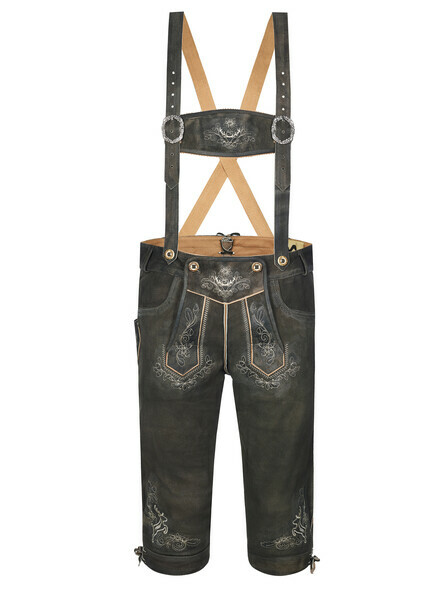 Traditional German clothing made of this leather fits like a second skin. And still, wild goat leather wins with its impressive durability and robustness. Goat leather is also a perfect alternative to deer skin lederhosen. 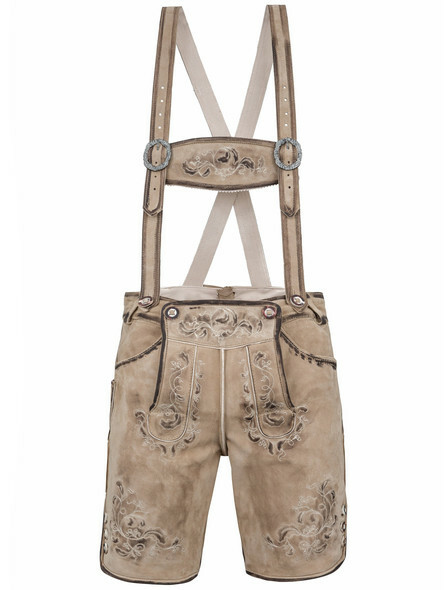 Even though it's pretty affordable, you don't have to forgo a high quality as well as a rustic charm. With its country-style flair and a hint of vintage these special items are true beauties of traditional fashion and save money on the side. 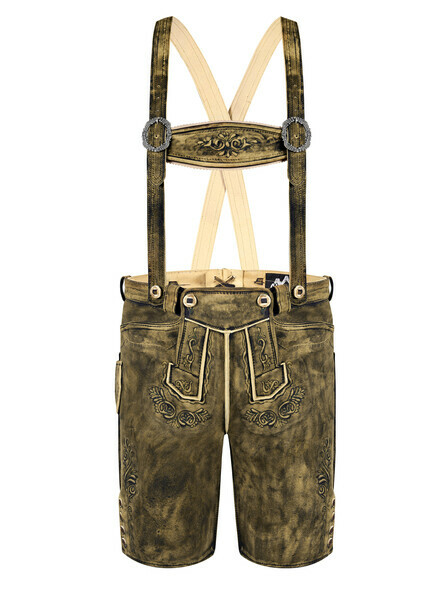 It doesn't matter if your favourite lederhosen are black, beige, grey or even in antique style - nothing can go wrong with goat leather pants. 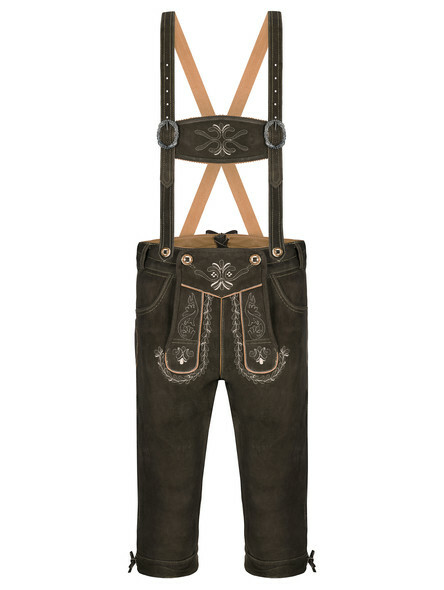 Not at least because there is the right pair for every traditional fan in our online shop. 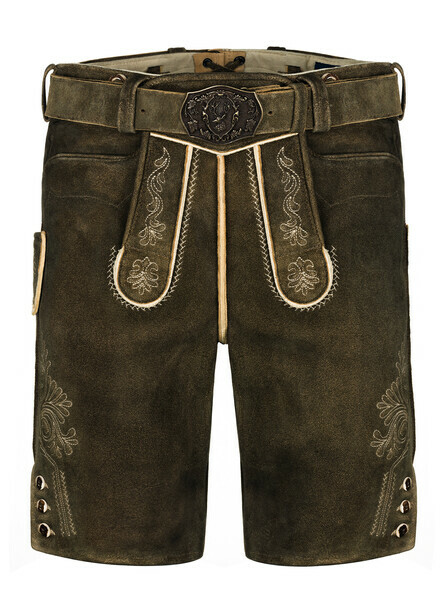 Depending on your individual preferences you can resort to short lederhosen, which end still over the knee, or to the longer version with knee breeches. 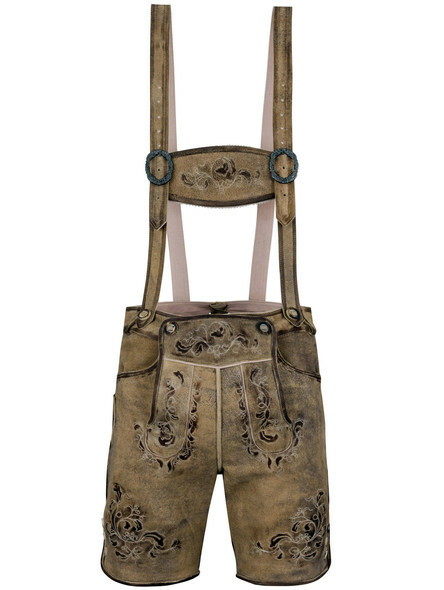 Some man prefers the classic way, other likes it practical without bib. 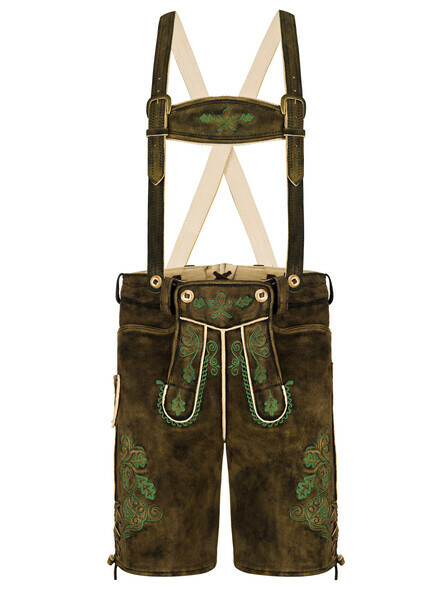 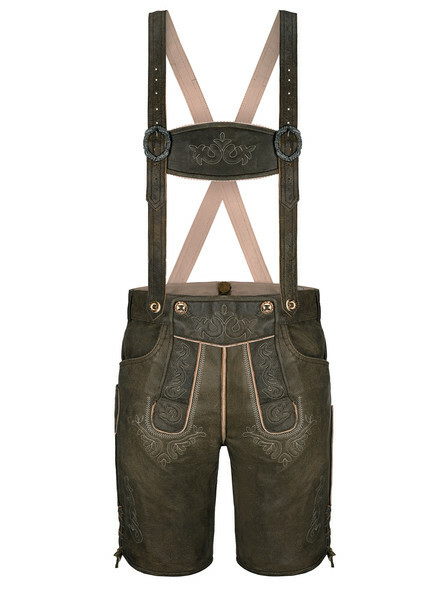 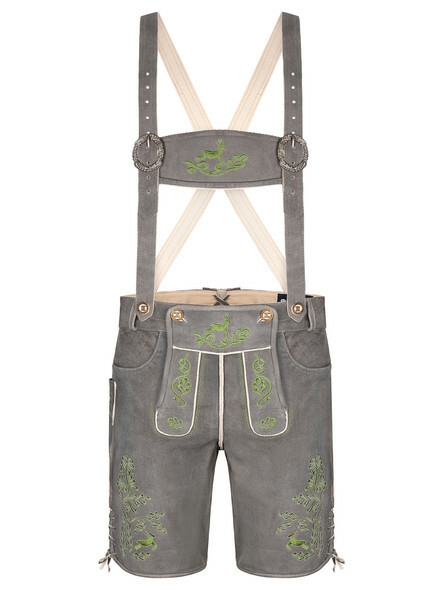 Then our Bavarian lederhosen with zipper come right on cue in the latter case. You can also find versions with or without suspenders in our online shop. The one ore another even brings a rustic belt instead. 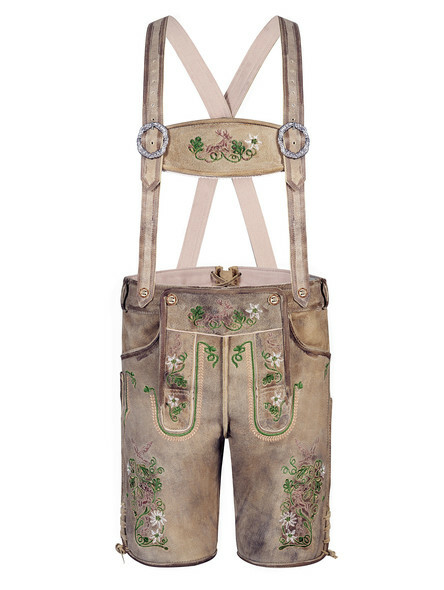 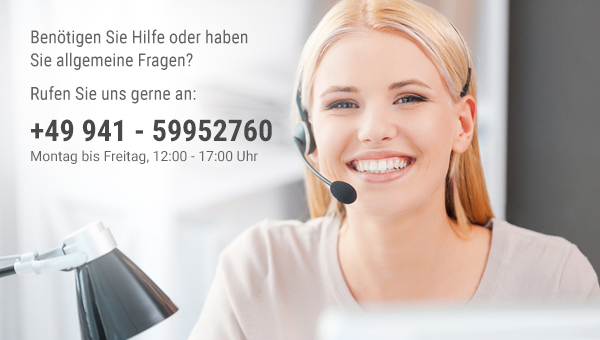 Go and browse through our exquisite selection and find your own traditional lederhosen. 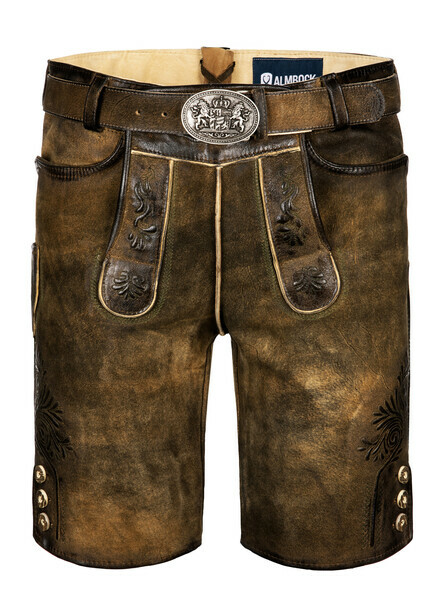 Our size charts can help you with finding the right size for you. 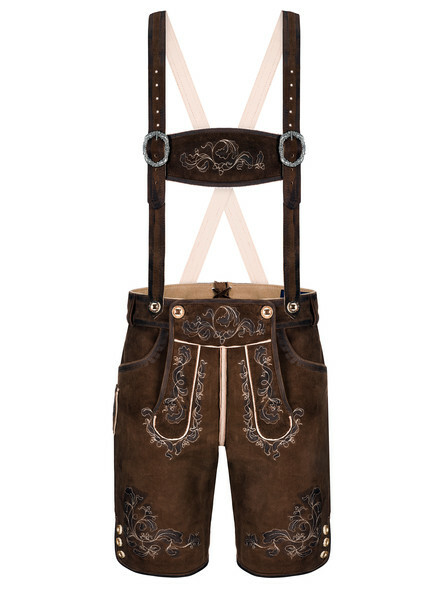 Maybe it turns out to be a knee length, but maybe also a short one. 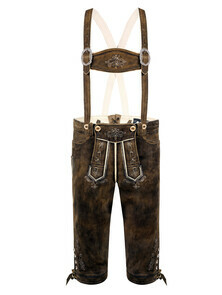 But one thing is sure if you choose wild goat lederhosen for men: They got the best of both worlds - cheapness and quality. 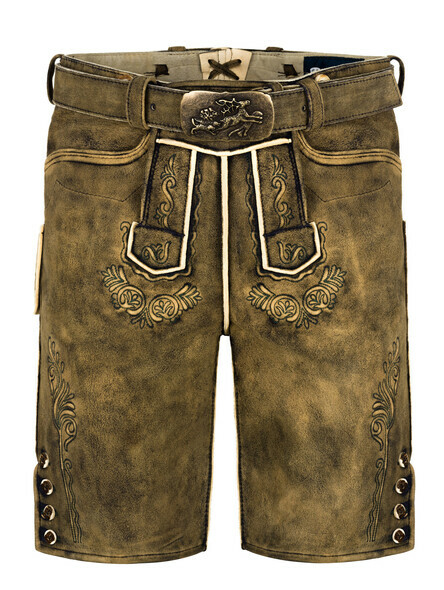 Great fit, amazing speed of delivery.